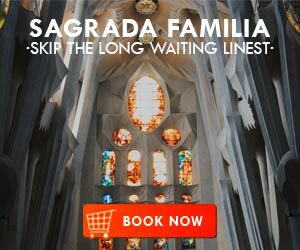 Barcelona has a patron, Santa Eulalia or Saint Eulalia, and logically, there is a festival every year to celebrate her. The festival of Saint Eulalia, also known as Laia, is celebrated annually on February 12th.  Today, ShBarcelona will talk about the Saint Eulalia festival and the activities that are usually held to commemorate this date, which are many. 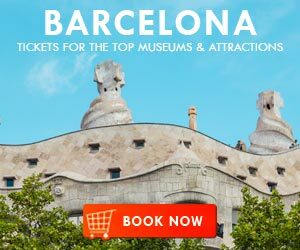 If you want to enjoy all the culture and folklore of Barcelona, do not forget to visit one of the activities organized by the Barcelona City Council in honor of its patron saint. 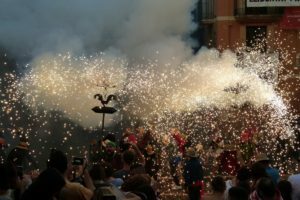 The festival of Santa Eulalia in the Catalan capital has existed for quite some time. Some popular performances, dances and games are even known from the XVIII century, with which there are indications that the custom of commemorating this day is old. But it hasn’t always been the case. 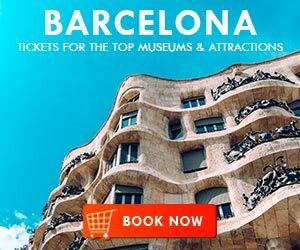 This festivity was moderately celebrated during liturgical acts of the Catholic Church and in institutional acts of the Barcelona City Council until the eighties of the last century. 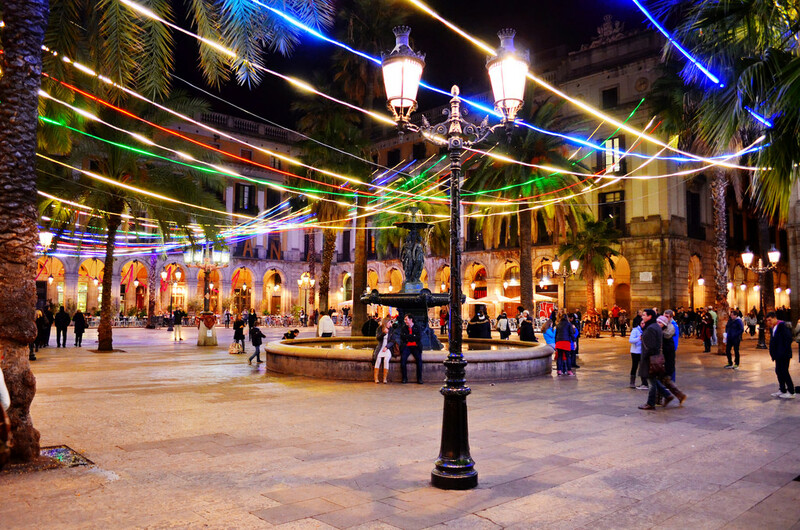 In 1983, thanks to the initiative of the Collas de Gigantes de Pi y Plaza Nova, belonging to the district of Ciutat Vella, and Maria Aurèlia Capmany, Councillor for Culture, they began to organize an annual festival on the occasion of Saint Eulalia. 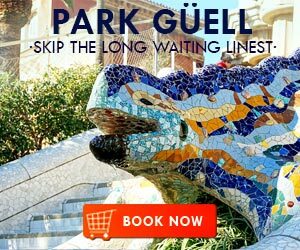 The cultural events are led by the Collas de Gigantes and Cabezudos and the traditional bestiary of Barcelona. ​They ​are the main protagonists of this festival, and over the years activities and popular parts of culture have been added. The reason for the celebration is the homage to Saint Eulàlia, patron saint of the city until the 17th century. According to the legend, during the 4th century, during the time of the Roman emperor Diocletian, it was ordered that all Christians in the empire be persecuted. For this reason, many people who practiced that religion fled or hid, but Eulalia, a thirteen-year-old girl who lived in a farmhouse in Sarrià, rebelled for what she believed unjust. She proclaimed herself Christian before the whole world. 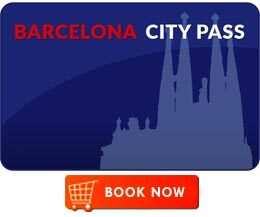 The girl was imprisoned and tortured, and became a symbol of courage and justice for the people of Barcelona. There are a number of important acts in the celebration of Saint Eulalia. The first is the placement of the banner, a flag that is placed in the City Hall, accompanied by background music by Els Segadors. At this time the City opens its doors for anyone who wants to visit the building. It will take place on February 12th at 9:45. After this event, the parade called ‘entourage of Santa Eulalia’ begins, with giants, big heads, dragons and dwarves, all surrounding the giant Laia, the protagonist of this festive day. The parade visits the streets of the Gothic quarter. And of course the best teams of castellera of Catalonia will perform at Saint Eulalia Day. 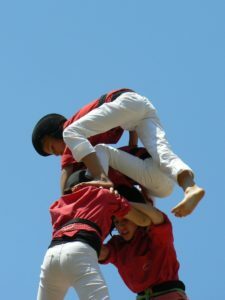 The castells are mounted in Plaza Nova and Plaza Sant Jaume. 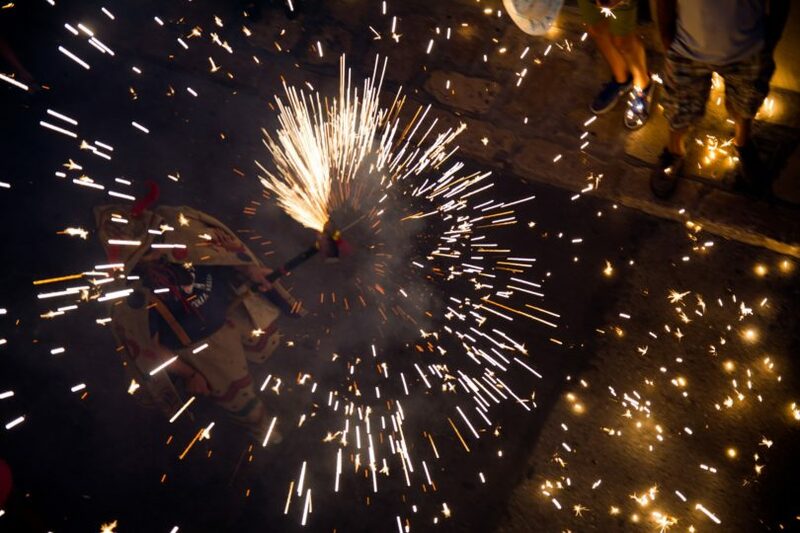 The acts that will end these festive events in the evening are the sardanas, a group of people – both men and women – dancing in a circle by Catalan tradition, and the correfoc, a group of people dressed as devils running through the streets or plaza with their fireworks. Have you ever attended this festival? What do you think?